I cannot decide which of these cute Labor Day party pieces is my favorite. 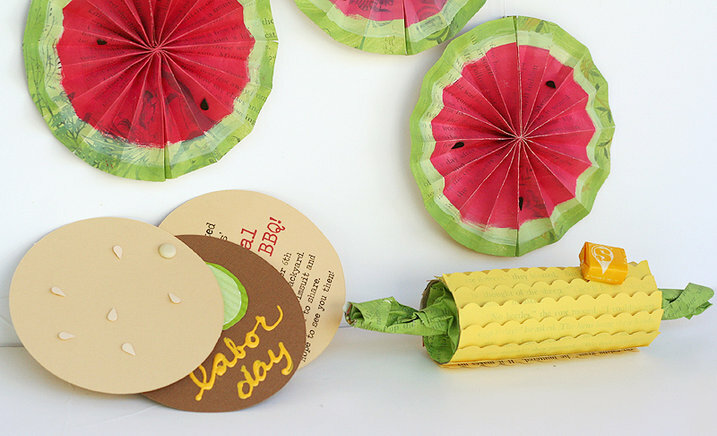 The hamburger invitations, the watermelon paper rosettes, or the corn on the cob party favors. They are all C-U-T-E! You can check out the tutorial for all of them over on the Fiskars site, and as always, they are by my favorite Fiskars contributor, Lisa Storms. How FUN!!! If we still have lawn furniture after Irene, I may have a party and use these favors ;) hehe.